As this article in Decanter about the changing character of tasting rooms points out, wine is no longer only about what’s in the glass. Wine is a symbol of the good life, la dolce vita or la belle vie depending on your affectation. The old idea of just tasting as much as you can, at as many wineries as possible, has given way to consumer desire for a way to immerse yourself in romanticised aspects of the wine-country lifestyle. That world in which wine tasting was a matter of “tasting as much as you can, at as many wineries as possible” is a world well lost. 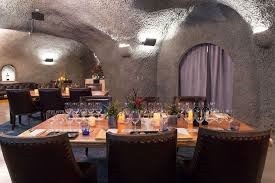 But, of course, what each of us thinks is a “good life” differs and so wineries are all in on creating a tasting room experience that resonates with their brand image. Others opt for hands-on activities or a casual nature vibe to pull in millennials. This is a good development I think. It helps wineries with their bottom line which, it is to be hoped, they will invest in wine quality. It makes wine less of a commodity by giving people a personal connection with the wine they drink and boosts direct-to-consumer sales—surely a better wine experience than what you find at the supermarket. And it’s the only way many talented winemakers, who don’t have a vineyard or winery set up for receiving visitors, can flourish. The down side, however, is that in striving for “personality”, “activities” and downtown tasting rooms, we lose connection with the vineyard and the region. There are few places more pleasant than a winery but it’s the gently sloping hills covered in vines, old stone walls, and rusting farm equipment that make it so. If the connection with the growing of grapes is replaced by “experiences” and “activities” we will lose something essential to the wine experience. And if wineries are selling lifestyle or experiences how many will continue their dedication to wine quality? (if they have it to begin with) If it’s not just about the wine, I worry that the wine will take a back seat. At least in the days of standing around an old barrel covered with bottles using a floor drain for a dump bucket, it really was about the wine—there was nothing else for it to be.